$12, a ruined shirt and a little clean up. What does $12, a ruined shirt, a little clean up and 20 minutes get you? 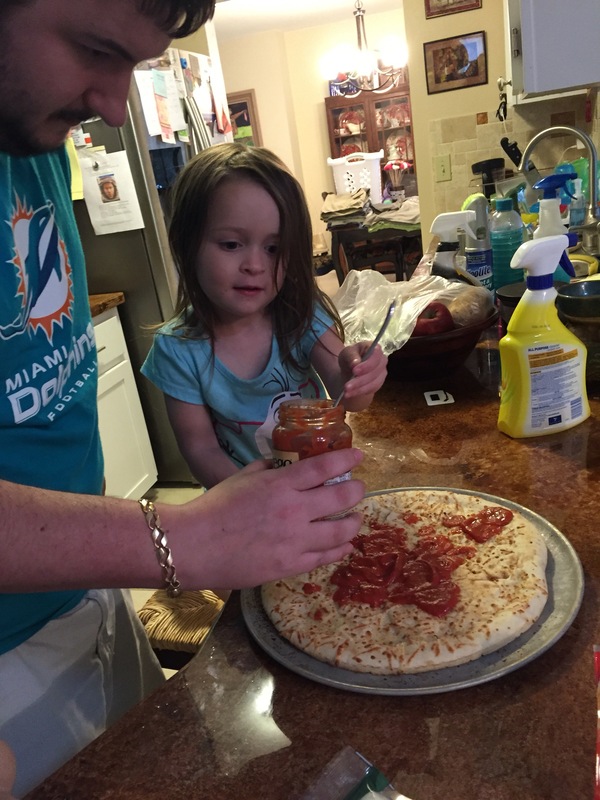 Memories, and in our case some good pizza. 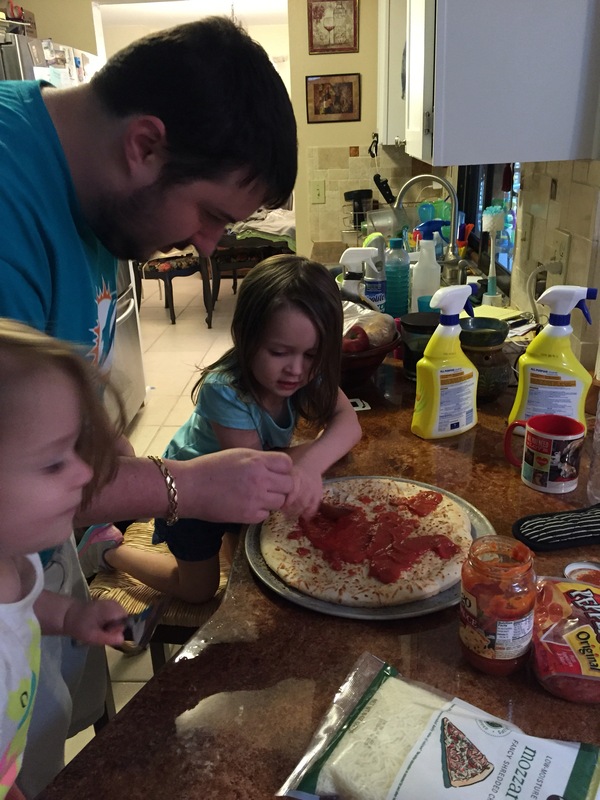 I’ve been on a little cooking with the girls kick lately and decided we were going to make pizza together. 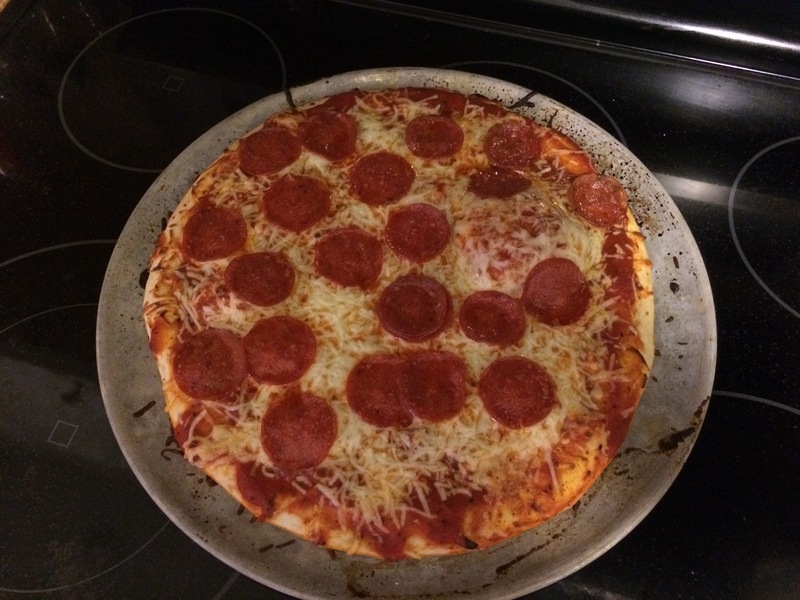 I kind of decided last minute to do this whole pizza thing so everything was basically pre-packaged. I’m sure I’ll work on a homemade version shortly but for now here’s a few pictures of the fun. 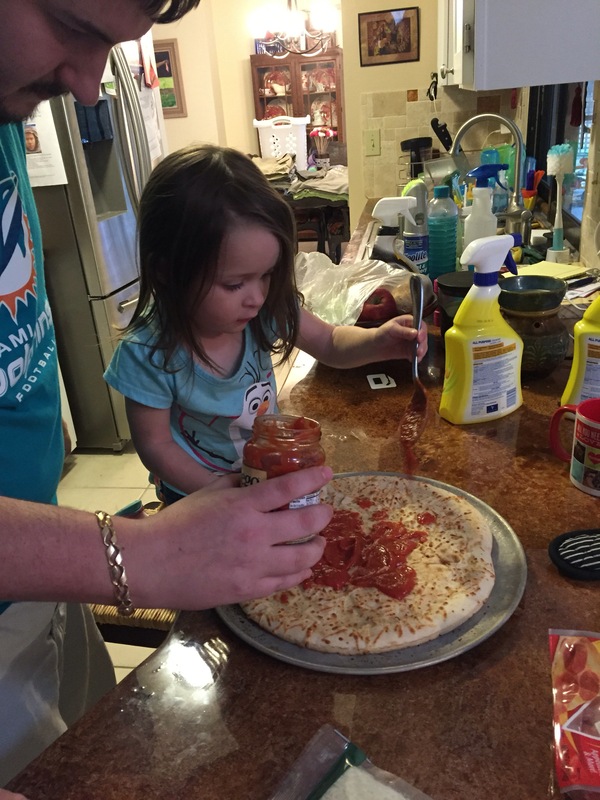 Kendall enjoyed spreading the sauce on the crust and of course Natalie loved eating the sauce from the jar. 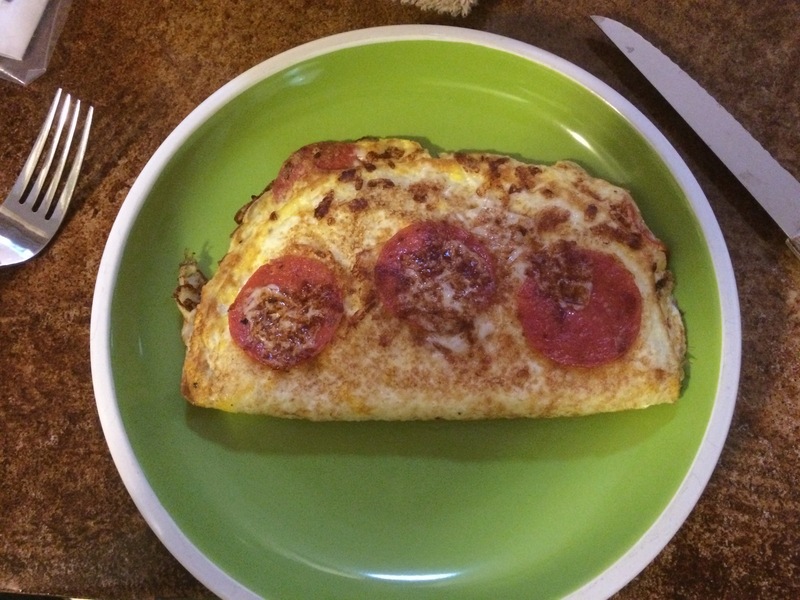 The following day we used the left over ingredients to make pepperoni omelettes for breakfast. 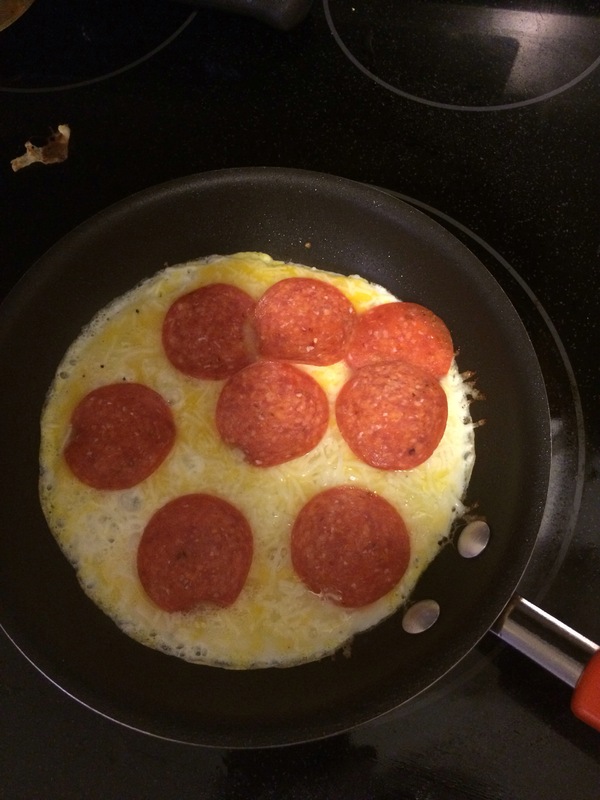 This entry was posted in Kid stuff and tagged cooking, cooking with kids, family, kids, parenting, stay at home dad. Bookmark the permalink. 8 Responses to $12, a ruined shirt and a little clean up. 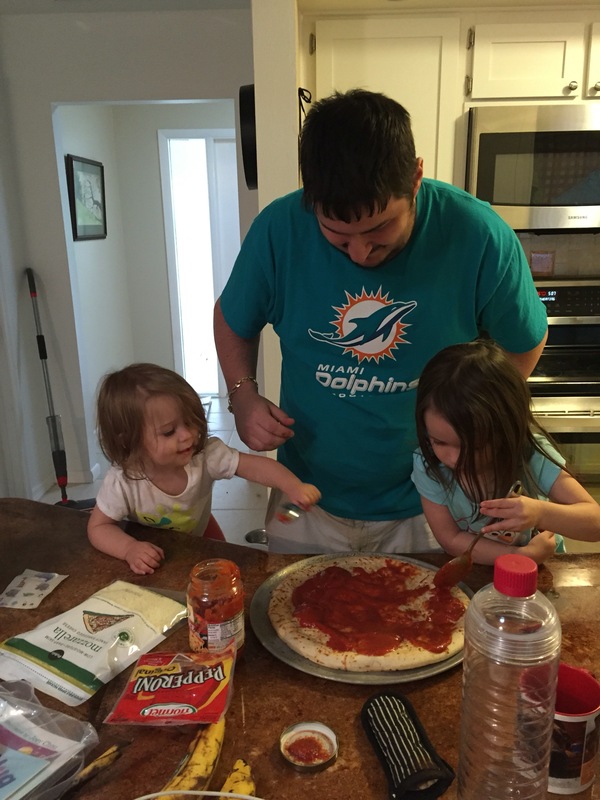 I got really lucky with my girls, they are not picky eaters. Some times my oldest is with veggies but it last a day or two then that’s all she will eat. Great memories you are creating! Thanks for the follow. The Lysol I’m convinced is what’s kept my family alive. Easily 2 a month we go through and not because I’m a germ freak the kids are just MESSY.